There was a large turnout for Safe Place Child Advocacy Center’s 4th annual Can Cops Cook fundraiser at the American Legion, in Brattleboro, on Saturday, Jan. 26, 2019. Members of the Brattleboro Fire Department and different local law enforcement agencies cooked a variety of meals for people to sample. 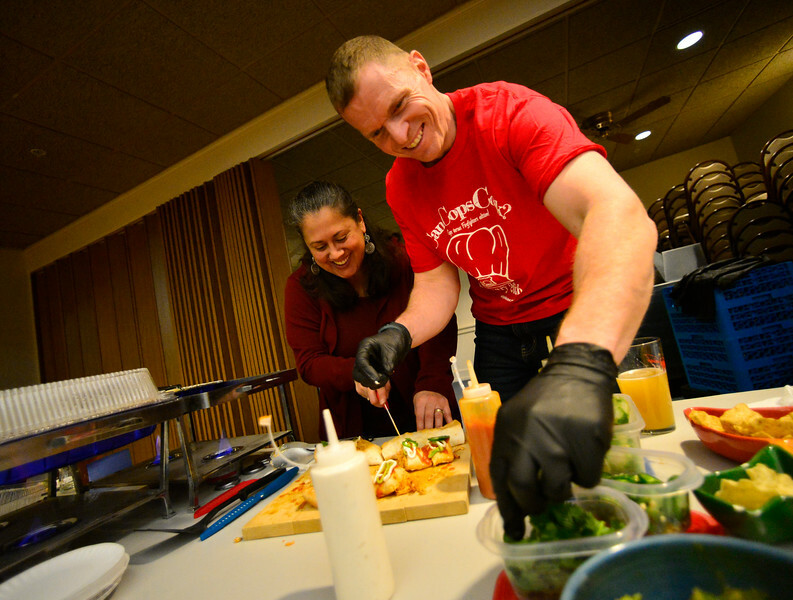 Michael Heiden, a Brattleboro Firefighter, and his wife prepare a dish during the 4th annual Can Cops Cook fundraiser at the American Legion, in Brattleboro, on Saturday, Jan. 26, 2019.